To celebrate the launch of four new African spice blends, this week we’re taking a look at some of the regional dishes that inspired them. Is chakalaka a salad? A stew? A relish? In truth, it’s all of the above and more. However you classify it, chakalaka is an essential South African condiment that can be served with everything from pap (similar to polenta) to crusty bread, stews, and braaied (barbecued) meat. Said to have originated with Mozambican mineworkers in and around Johannesburg, chakalaka is typically made with a blend of beans, carrots, onion, peppers, and tomato sauce. Some versions include cabbage or butternut squash, but all are characterized by a signature spicy seasoning made with crushed chiles and fragrant spices. Suya is a spicy meat kebab popular as a street food throughout West Africa. Typically made with skewered beef, suya can also be prepared using tripe, chicken, liver, or kidney meat. 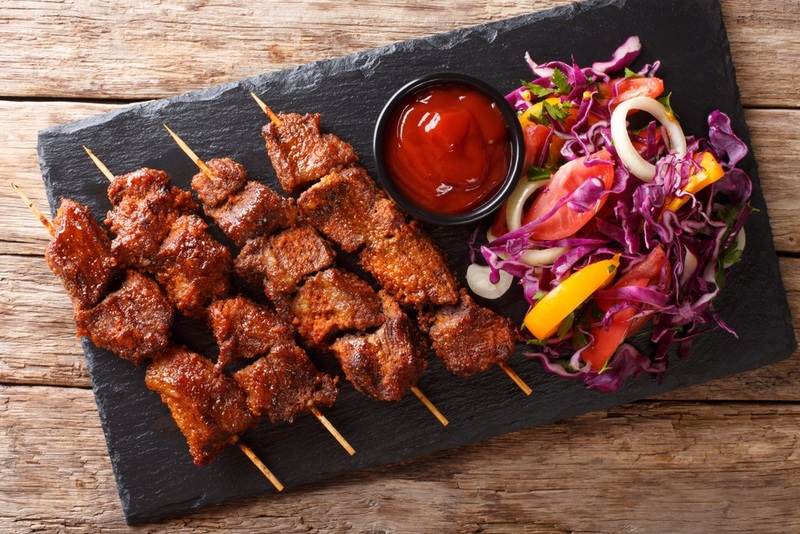 In West African countries like Nigeria, where suya is thought to have originated with the cuisine of the Hausa people, skewered suya meat is seasoned with a hot, nutty spice mixture before being grilled, then finished with a drizzle of vegetable or peanut oil before being served. Zobodobo is the Hausa name for the Hibiscus plant, a key ingredient in the fruity, refreshing beverage known as zobo drink. Popular throughout Nigeria and West Africa, zobo drink is made from an infusion of tart dried Hibiscus flowers mixed with pineapple, ginger, and sometimes oranges, watermelon, or other fruit. Zobo drink is usually served cold, making it a refreshing choice during the hot summer months. For a delicious summertime cocktail, rim glasses with Hibiscus Chile-Lime Salt and mix 8oz of zobo drink with 1.5oz of rum. Serve over ice and garnish with a slice of fresh pineapple. 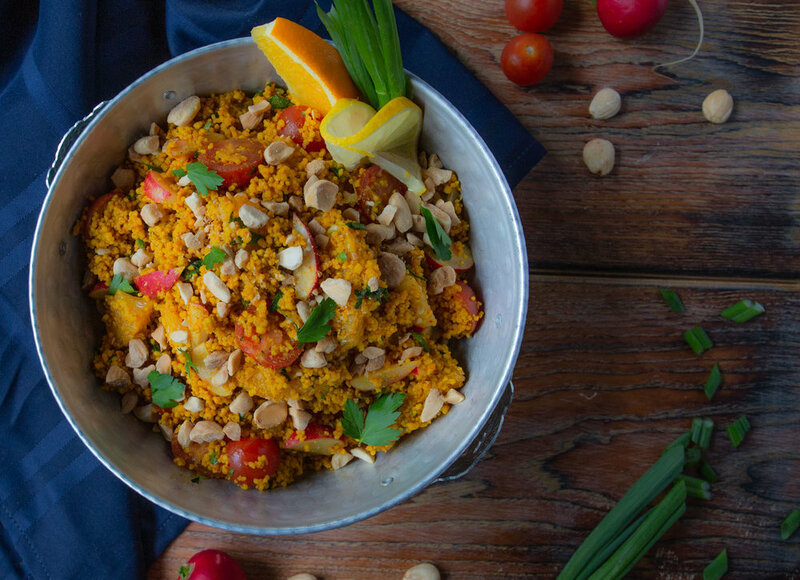 Couscous is truly a global dish, popular everywhere from Italy to West Africa and beyond. It’s the national dish of Tunisia, where it is called kousksi. Though it resembles a grain, couscous is actually a type of pasta made from durum semolina wheat. The wheat is rolled into small balls that are crushed and then streamed using a special double-chambered cooking pot called a couscoussier. Today, most couscous is sold pre-steamed to shorten the cooking process. Distinct from Algerian or Moroccan recipes, in Tunisia couscous is almost always served with a red, tomato-based sauce and a characteristic spice blend which includes coriander, chile powder, garlic, caraway seeds, and turmeric. Fish, tripe, hard-boiled eggs, and meats are all served with couscous in Tunisia, as are spice-scented meatballs made from beef or lamb. Doro wat is a thick, warming stew made from a base of slow-cooked onions and spices (typically berbere), to which chicken and hard-boiled eggs are added. In the traditional recipe, the onions are cooked alone in their own juices at low heat before any oil or butter is added, creating a thick, sweet base for the spices. One of the most popular and best-known dishes of Ethiopia and Eritrea, doro wat is typically served with injera, a spongy sourdough flatbread made from teff which doubles as a serving utensil.